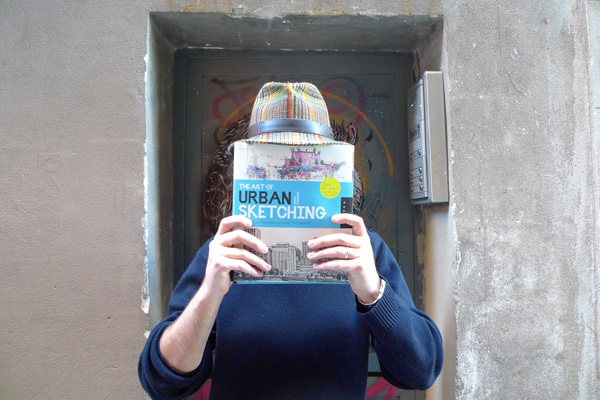 Book contributor Lapin holds a copy of the book under one of his signature hats. 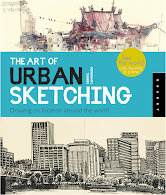 "I love the design, and from what I already read, it's full of tips and secrets from most of the urban sketchers of the blog. A must have!!" See the full post on Lapin's blog.